A 21-year-old man has been identified as the suspect who is believed to have fired a gun at an elementary school in San Jose early Tuesday, according to police. Nicholas O'Connor was taken into custody at his home and booked into the Santa Clara County Jail, according to police. He was booked for possessing a firearm in a school zone, shooting a firearm in a school zone, discharging a firearm at an uninhabited building and vandalism. Officers on Tuesday surrounded Booksin Elementary School, which is located at the corner of Booksin Avenue and Dry Creek Road, after receiving a report of a man firing a gun in the area of the school, according to police. Police searched the school and the surrounding neighborhood, but they were unable to find the man. Despite coming up empty, officers said the school and the surrounding neighborhood were safe. 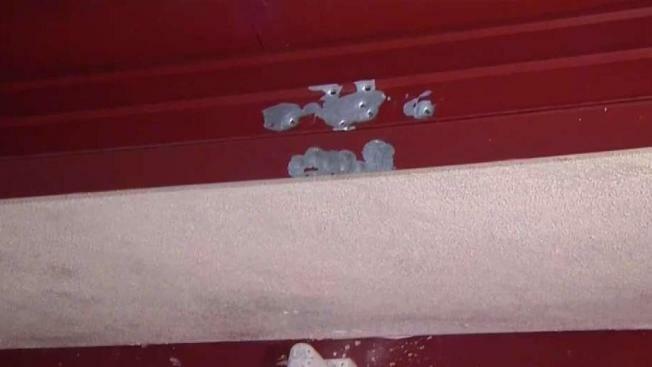 Officers on Tuesday were looking for a man who fired shots at an elementary school in San Jose's Willow Glen neighborhood, according to police. Marianne Favro reports. Officers later found gunfire damage to a security camera near the school's library as well as damage to a nearby wall. It appears the damage may have come from shotgun rounds. Police later found a shotgun in a nearby backyard. It is not yet clear if that firearm discovered was the one used in the shooting. Karen Scherrer, who lives across the street from the school, said she called 911 after waking up to the sound of one gunshot. She then ran toward the campus and saw the man shooting at the security camera. As she crept closer toward the man, Scherrer said he pointed the gun in her direction. She said she dropped to the ground before moving to a new location on the campus. While moving, Scherrer said she heard the man shooting again. She and her husband decided to chase after the man, but they were unable to find him. "I just wanted to give a description," Scherrer said. "I want it to stop. I'm tired of this. My daughter goes here. It's not fair for the kids. It's not fair." 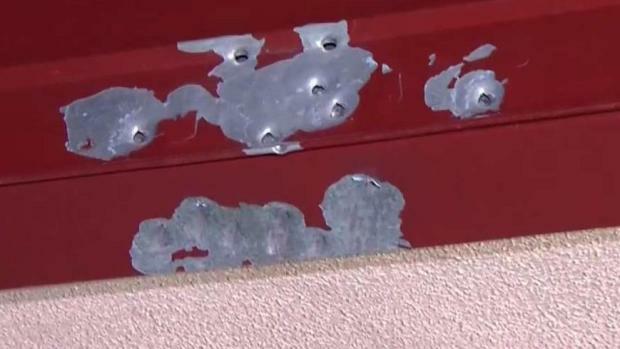 Officers on Tuesday were looking for a man who fired shots at an elementary school in San Jose's Willow Glen neighborhood, according to police. Bob Redell reports. Scherrer said gunshots were also fired at the school about two weeks ago. School district officials believe the gunman who opened fire on Tuesday could be connected to that shooting. "A lot of parents kept their kids home," Scherrer said. "It's instilling fear in the community. It's not fair for us. I just wanted it to stop." Booksin Elementary School temporarily suspended outdoor recess on Tuesday, and teachers were asked to keep classroom doors closed throughout the day. The investigation is ongoing, police said, and anyone with information is asked to contact the San Jose Police Department's Assaults Unit at 408-277-4161. Editor's Note: An earlier version of this story indicated, per sources, that the suspect was a minor. It was corrected when NBC Bay Area learned that the suspect is over 18.